Amplive is a variety of instrumental and hip-hop music, which can be great for lots of riding types depending which album you’re listening to. 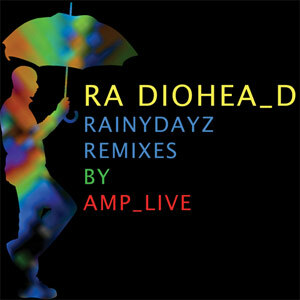 The album above, Rainydayz, remixes a handful of songs from the 2007 Radiohead album In Rainbows. Radiohead is generally very melodramatic music, which reflected in the Rainydayz album making this one great for for cruising powder runs and riding with friends. Amp Live who is 1/2 of Zion I, just released a new album with The Grouch called “Heroes in the Healing of the Nation”. There’s some SICK tracks on there! They also just released a dope ski video for “Victorious People”. You should take a look!